Preston race into three-goal lead at Deepdale before holding off Brentford fightback. 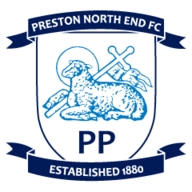 Preston climbed out of the Championship relegation zone with a 4-3 win over Brentford on an action-packed evening at Deepdale. Alan Browne gave Preston the lead before Callum Robinson doubled the advantage with a sublime strike in the opening quarter of an hour, while Tom Barkhuizen netted the third. Sergi Canos grabbed one back for the Bees with a thunderous strike after 29 minutes before a heavily deflected Ollie Watkins effort reduced the deficit after the break. Robinson later scored his second to restore Preston's two goal cushion before Bees top scorer Neal Maupay added his side's third just before full-time. The visitors started well as Watkins' third minute corner was headed back across goal by Canos for Bees skipper Henrik Dalsgaard whose effort was blocked. But the Lilywhites took a fifth minute lead when Robinson's shot deflected into Browne's path and he slotted past Daniel Bentley from close range. Preston extended their advantage after 12 minutes when the Brentford defence stood off Robinson outside the box and he lashed a powerful effort past Bentley. Referee Scott Duncan awarded an indirect free-kick after Bentley collected Kamohelo Mokotjo's backpass and from the set piece, Preston capitalised as Lukas Nmecha curled towards the wall for Barkhuizen to score from close range after 23 minutes. But the Bees grabbed one back before the half hour with a thunderous Canos effort after he cut in from the left to let fly into the top corner past Chris Maxwell. Nmecha's powerful strike 10 minutes from the break deflected off Yoann Barbet into the side netting, while Barkhuizen later delivered a precise cross from the left wing for Robinson whose looping header went wide. Romaine Sawyers then let fly and Maxwell spilled the powerful effort, the Brentford man later curling a fierce stoppage time effort over. After the restart, Maxwell denied both Nico Yennaris and Canos as the Bees started well, while Bentley showed his reflexes at the other end to stop Ben Pearson. 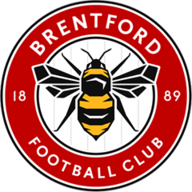 Brentford further reduced the deficit as Watkins' low 56th minute effort crept in after taking deflections off Darnell Fisher and Barkhuizen to give the Bees hope. But Preston restored their two-goal cushion when Daniel Johnson drove into the area and squared for Robinson to net his second with just over 20 minutes left. Maupay responded for the Londoners as an 85th minute corner was flicked on and the marksman buried into the roof of the net but the visitors could not find an equaliser. Alex Neil: "I think we've been involved in a lot of high scoring matches this year, not by design really. I think once we go 3-0 up, we're hoping to then go and try and make it an easier night for ourselves. But Brentford are a good side, they pose you a lot of questions and a lot of problems. The first goal's a worldie really for Sergi (Canos). Then the second goal's a really bad deflection so it carried a little bit of fortune with it. "I think conceding three goals is naturally concerning, we need to make sure we try and tighten up. I thought we simplified things in terms of not really risking it at the back, turning the ball forward earlier and then playing in their half. I thought that worked really well for us, we scored four goals and to be honest, could have probably scored more." Thomas Frank: "I think you can split it up into three areas. I think the first is we conceded three goals, four goals in general but three goals quickly in 20 minutes. You can't concede four goals and think you're going to win. The first is the deflection where they get in behind and score, the second one, well done from them, it was good play and a top finish, the third one, I think it was offside. After that we didn't give up. "In the second half, the first 20 minutes was really good. We got the goal, went closer, and then we didn't defend again good enough. We get it to 4-3 and you could see they were getting lower and lower. Overall, we attacked well and scored three goals away from home. It should be more than enough to win three points, we need to defend better in general."